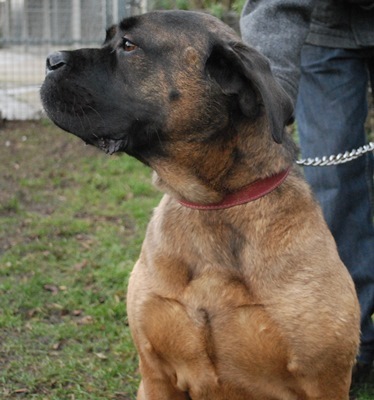 My name is Cindy and I am a five year old Bull Mastiff. I am told that for a big girl I am very loving and enjoy fuss. I like to have cuddles and a good belly rub!Â I don’t get on well with little dogs but don’t mind big dogs so much. I may be better being an only dog so I can have all the attention to myself. I came into care through no fault of my own and I’m now looking to start a new life in a forever home . . . might that be yours? Cindy is kenneled on our behalf with RSPCA Chesterfield at 137 Spital Lane, Spital, Chesterfield, Derbyshire, S41 0HL. Tel 01246 273358. More photos and a short video on this linkÂ . 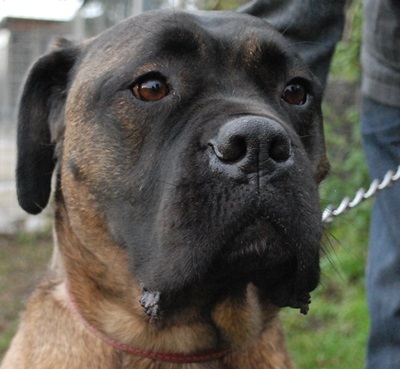 RSPCA Lincoln Tel/Fax (office only): 01522 544862/07738 229183 or email lincoln.rspca@live.co.uk. This telephone is manned 9.30am until 12.45pm Monday - Friday. You can ring one of our cat foster mums on 01522 889372. As we are extremely short staffed we may not get back to you immediately but do please keep trying to reach us. You can ring the kennels directly to arrange to see the dog or ask for further information. Panton Kennels - Tel: 01673 858622. Please ring to make an appointment to ensure the dog hasnâ€™t already been reserved and as this is a private boarding kennel. Open Monday to Sunday between: 9 am to 1 pm, and 2 pm to 4 pm Panton Kennels, Panton Farm, Roman Road, Hatton, Nr Wragby, Lincs, LN8 5LS.